New York, NY – November 9, 2015 – Press Release – Sichenzia Ross Friedman Ference LLP announced today that the Firm has represented global content and brand management company Genius Brands International, Inc. (the “Company”) in connection with its private offering whereby the Company sold to accredited investors an aggregate of 4,330,000 shares of common stock, par value $0.001 per share and warrants to purchase up to 4,330,000 shares of common stock for a purchase price of $1.00 per share. Genius Brands received $4,330,000 in gross proceeds from the sale of the securities. 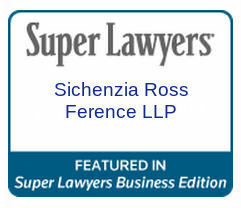 The Sichenzia Ross Friedman Ference LLP team was led by Partners Harvey J. Kesner and Tara Guarneri-Ferrara and was assisted by Associate Jennifer Rodriguez.